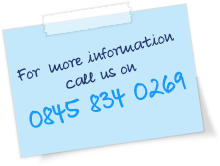 Make sure your candidates get the best possible advice for their individual needs - contact us today. We have helped countless numbers of contractors in our years of working purely with freelance contractors and the recruitment businesses that place them. Whatever sector you operate in or types of freelance contractors you place, 123 Contracting can help you. Take a look at the menu on the left for more detail about our 123 Agency Support.